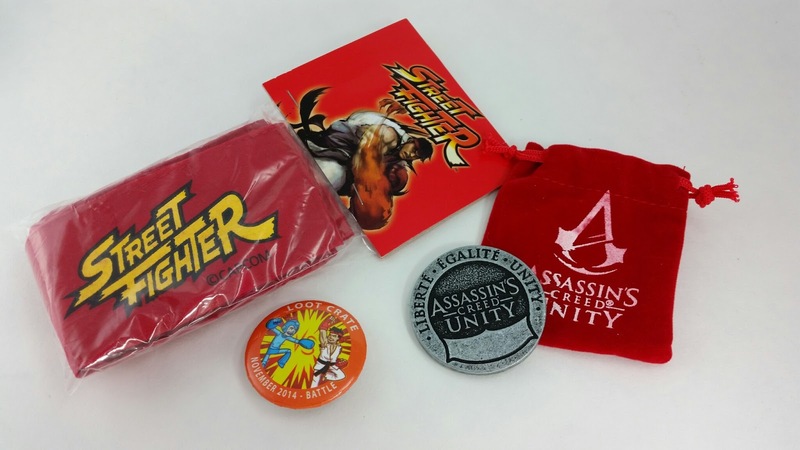 Loot Crate specializes in all things gamer geek and nerdtastic. This is the November 2014 box and the theme is Battle! So of course there is Street Fighter, Halo and Megaman. This box is technically for my husband because he's waaay nerdier than I am. Street Fighter Headband- Street Fighter is probably the... not the best fighting game but probably the one that defined the genre. It came out in 1987 and the most favored character is Ryu. He wears a white gi and a red headband. This headband is supposed to make you awesome when you wear it. I haven't tested that out (and I don't think I will). Assassin's Creed Unity Coin- So this was DH's favorite thing. He saw it in my hand and snatched it. He has played all the Assassin's Creed games and just finished Unity last week. He says this is what initiates into the Assassin's guild get. You get it and then you have to go find the guild headquarters. When you show it to them then you can gain admittance. This is a heavy, metal coin, too. It's pretty nice! It's also a Loot Crate Exclusive! 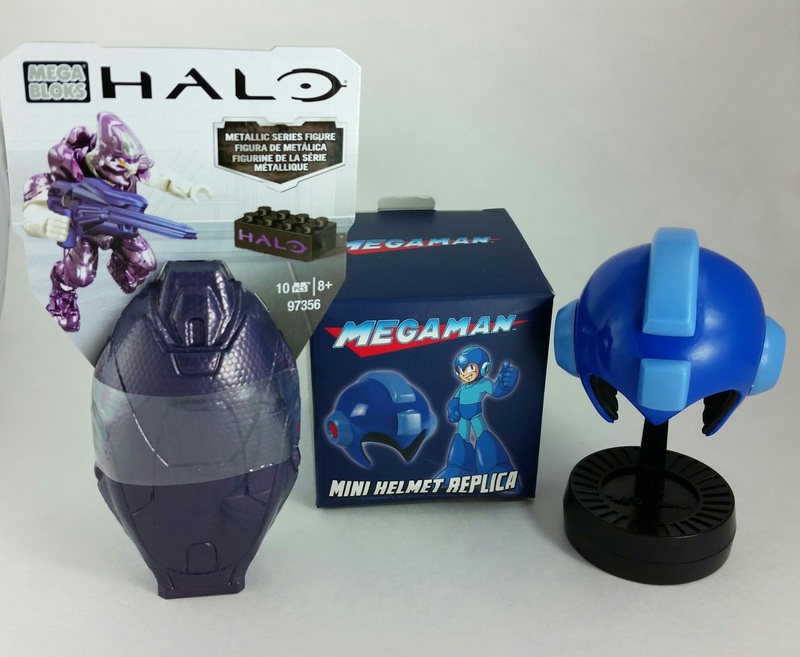 Megaman Mini Helmet Replica- Another famous video game hero! This is from Capcom's Megaman, who has apparently been in over 130 different games since he first arrived on the scene 27 years ago. We got the blue one and it's already adorning DH's desk. 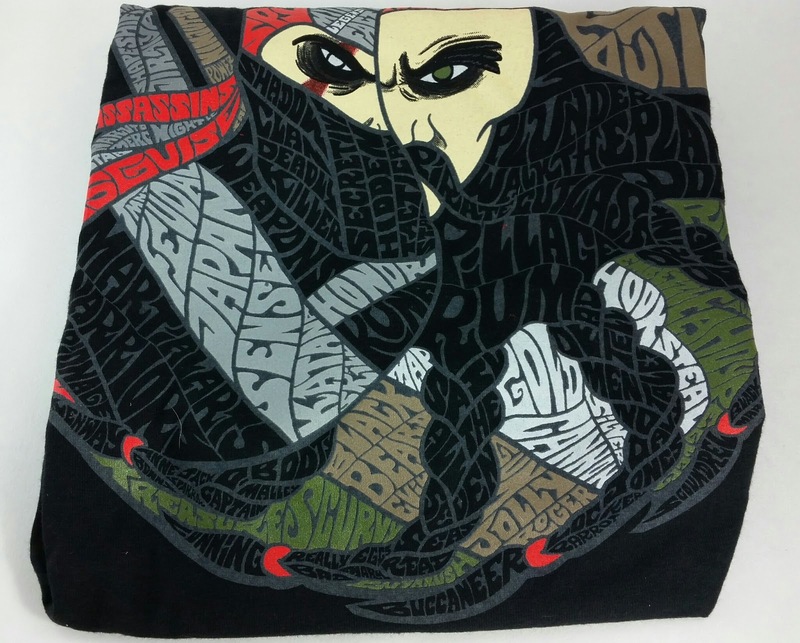 Pirates vs Ninjas T shirt- So this is completely ridiculous. It's a yinyang symbol with one side being a pirate and the other being a ninja. Since they aren't really opposites of each other, using the yinyang is kind of weird. But also, so is the match up. There's no way a pirate would beat a ninja. The pirate would be dead before he even knew the ninja was there. 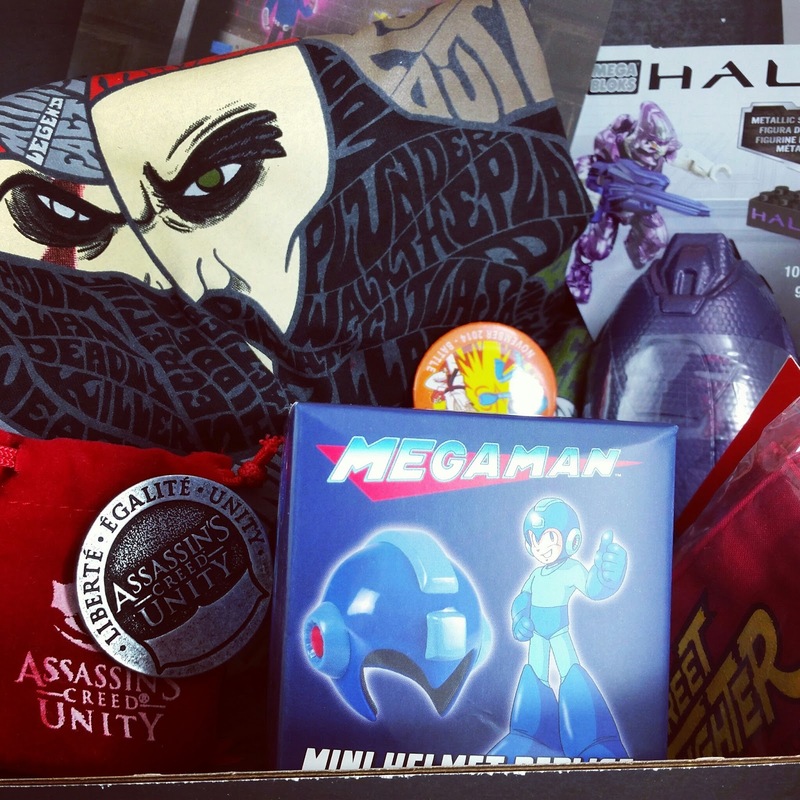 Also included in this crate are Game Codes! VERDICT: I really like the exclusivity that Loot Crate provides. I do wish there were fewer little things and more substantial ones but for $20, it's still deal with a T shirt included. Although, this one was kiiiinda dumb. *ducks* The Megaman and the Assassin's Creed coin were the two best items, the rest will be gifted and the shirt will be for working out. Actually the full game download key is pretty nice. Too bad it's not for a game I want! I'm currently playing Dragon Age: Inquisition and have been staying up SO late! If you play, I chose mages and the questline is pretty awesome! If you loved this crate and think everything in it is exactly what you would have loved, you should probably sign up for Loot Crate. Use code SAVE3 to get $3 off your first month!